A remarkable story broke last week about two, twin sisters both diagnosed with breast cancer within a few months of each other and one twin donating tissue to her sister for breast reconstruction surgery. 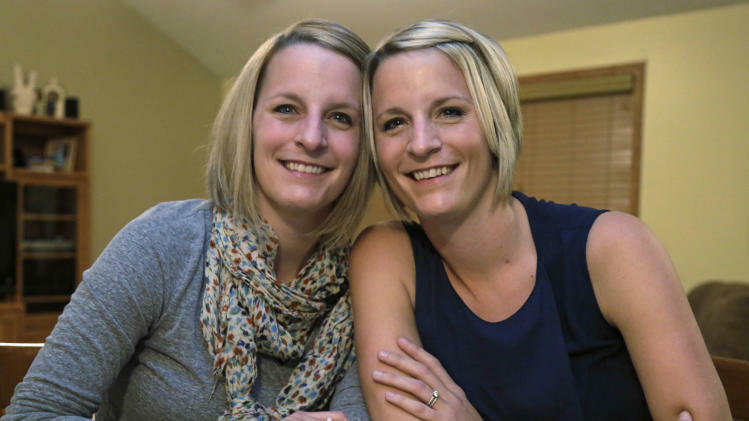 The 34-year-old twin sisters from Crown Point, Indiana, Kristen Maurer and Kelly McCarthy, were not the first to donate tissue to their identical twin. The first successful organ transplant between twins dates back to 1954 and since then, identical twins have been involved in many operations involving kidneys and other organs, stem cells, and bone marrow. However, breast reconstruction has only been done a handful of times—Maurer and McCarthy were certainly among the youngest patients. Once McCarthy was diagnosed in 2011, she immediately urged her sister to get tested. Maurer was diagnosed just months later. McCarthy was diagnosed with triple-negative breast cancer, an extremely difficult-to-treat form of cancer whose growth in not driven by hormones. She underwent treatment, chemotherapy, eventually surgery to remove her right breast, and radiation. Maurer was diagnosed with a very-early-stage cancer in her left breast a few months later—and underwent a double mastectomy due to her sister’s aggressive cancer. Maurer didn’t require chemotherapy or radiation and she had reconstruction surgery with implants shortly thereafter. McCarthy’s operation last week involved a second mastectomy, and reconstruction of both breasts. While some of McCarthy’s own tissue was used to create one breast, the second breast tissue was taken from a “tummy tuck” operation performed on Maurer—where a portion of the lower abdominal skin and fat tissue were transplanted to her sister for her second breast. Identical twins are ideal donors because their skin, tissue and organs are perfect genetic matches and it eliminates the need for antirejection medicine, explained Song.